Receiving feedback from a patient is a real privilege. We nurse because we care, not because we seek reward and recognition. But when a patient goes home, recovers, still remembers your name and feels strongly about the input you had, it is quite overwhelming. This patient had a complex injury sustained in a motorcycle incident and was cared for by the trauma team. When he had gone home, he sent a letter to the chief executive praising the care he had received during this difficult experience. Although we always hope to make a positive difference, it is nice to have this acknowledged by a patient and their family. This man’s family were over 200 miles away, and this caused a lot of anxiety and difficulties with communication. It is important that nurses put themselves in the shoes of the patient, and think how it must feel to be isolated and in unfamiliar surroundings. The ability to ensure nursing care includes all needs of the patient is essential. As part of improving communication with families, we give cards to patients and relatives with direct numbers for them to contact the trauma nurses. This feedback and the care we provided demonstrate how my team maintains the Code by prioritising people. Recognising that patients need to contact their family as soon as possible is essential. The team and I made every effort to ensure this happened so as to reduce anxiety for the patient and family. We also demonstrated preserving safety and practising effectively, as our approach means that patients felt safer in our care. In this case, we made a particular effort in view of visitors having to travel a long way, discussing overnight stays, sending maps and information about transport and sorting out car parking and meal vouchers. This feedback reminded me to keep nursing input balanced with the medical and emotional needs of the patient. 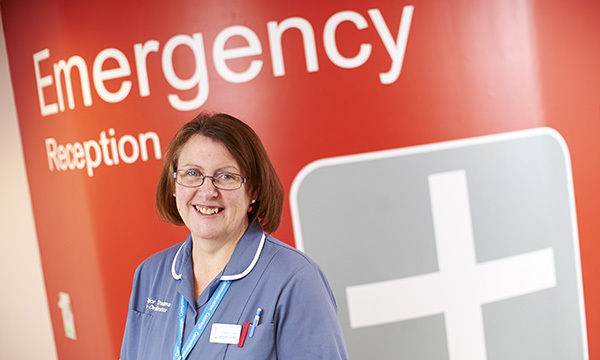 Amanda Burston is a member of the Emergency Nurse editorial advisory board and was RCN Nurse of the Year 2015.